Manufacturer and Exporter of SS 202/304/316/316L Nuts, Bolts, Studs, Screws, Washers, Cap Screws, Sockets, Threaded Bars, Threaded Rods, Structural Fasteners, Machine Screws, Auto Fasteners,U-Bolts, Tension Control Bolts, Shear Connectors, Foundation Bolts and Fasteners as per customer drawing and specification in High Tensile and Stainless Steels. From High tensile to stainless steel, metric and inch series fasteners, specialty, or custom fasteners, we provide the right part, at the right price, on time-every time. 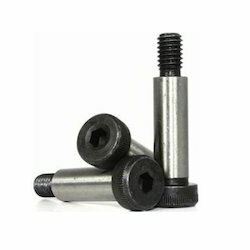 Shoulder screws from Automotion Components are available from stock in steel or stainless steel and a variety of styles. We produce many specials on request to customer drawings, including AISI 316 stainless steel. Please see below for a selection of our shoulder screws. 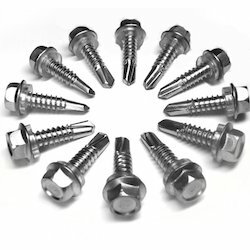 Socket head shoulder screws available in two different grades of stainless steel. The cheapest and most popular is AISI 303 stainless steel, our part number P0130. The other grade of stainless steel is AISI 416, our part number P0131. Zinc plated steel and special sizes are available in quantity on request. These are available with shoulder diameters from 4 to 12mm - for larger diameters see the ISO 7379 shoulder screws below. 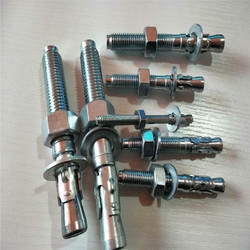 Importers of Stainless Steel Industrial, Self Drilling, Self Tapping, Cutting, Self Sealing, Sheet Metal Fastener Screws. Wedge-All anchors are a wedge style expansion anchor for use in solid concrete or grout filled masonry. A one-piece clip ensures uniform holding capacity that increases as tension is applied. The hole size is the same as the anchor size. Includes nut and flat washer. 303/304 Stainless Steel for marine, industrial and general construction. 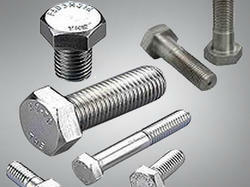 Looking for Speciality Fasteners ?